TRAVEL — How do travel agents make money? 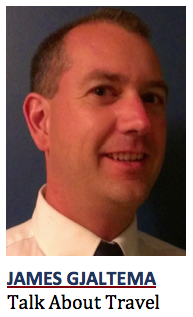 COLUMN — I often come across prospective clients who are skeptical about using a travel agent. Many people are under the impression that they can get better prices if they book their own travel. Did you know that most travel agents can offer the same prices or better than booking online? Travel agents, like real estate agents, work on commission. The buyer pays the market price and the seller pays a commission to the agent who brings the buyer to them. 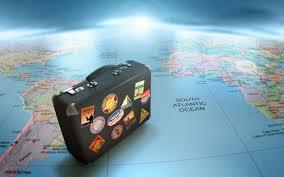 In the case of travel, the seller is the supplier (hotel, airline, cruise line, tour operator, etc.). If you book a hotel online through a website like Expedia, the hotel pays a commission to Expedia, but if you book through a travel agent the hotel pays the commission to the agent. What about booking directly with the hotel? Wouldn’t it be cheaper to cut out the middleman? Sometimes this is the case, and it can be worth double checking. However, in the majority of cases, by booking through an agent you will get a better price than booking directly. Why? Because travel agencies have contracts with travel suppliers that give them wholesale rates as they do large volumes of bookings. Most travel suppliers are happy to pay commissions as a cost of doing business. They value travel agents, as they bring them more business than they would get on their own. The travel industry has definitely changed over the last few decades. The rise of the Internet has brought increased competition as well as an overwhelming amount of information and options. It can be very time consuming to navigate through all the choices. Doing some of your own research is important, because you know yourself the best. I always encourage teamwork. I’ll usually send a few options and get feedback from the clients. There is always a balance between price, convenience, location, quality, charm, etc. If you’re like me, you may have different preferences for different trips. You may want to splurge on something nice on some occasions while being more price conscious in other situations. A travel agent will have your best interest at heart, because if you’re happy, chances are you’ll book again and tell your friends about your agent. If you work with a travel agent, please respect their time and effort. It can be very time consuming to research and compare options. Imagine going to work and putting in many hours providing a useful service and not getting paid. It has happened to me and many of my colleagues when we did a lot of research for clients only to find out that they decided to book online. If there was a much better price for the same product that I wasn’t able to beat, I would understand. There are some sites like AirBnB and VRBO that are difficult for a travel agent to compete with, but there are risks and sometimes additional costs associated with them. I would recommend talking to a travel agent before booking anything. Let them know your plans and what you’ve already found and see what they can offer. Travel agents get paid when we book trips. We will do our best to find options that will be a good fit for our clients. We will go the extra mile to find the best value and sometimes we can surprise you with great deals or extra perks that you may not get by booking on your own.